From high-rise construction to estates of Preston Hollow, Daylon has vast experience brokering sales of all shapes and sizes. Incorporating cutting-edge marketing advancements, his longtime appreciation of architecture, and more than a decade of seamless customer service, he has earned the respect of his clients and peers alike. Having started his career marketing developments along Turtle Creek, he transitioned into sales of some of Dallas’s most prestigious high-rises and new-construction developments. In 2012, his professionalism and impressive reputation gained him the role of Sales Director for The Residences at The Highland, while simultaneously working as a team member for The Tower Residences at The Ritz-Carlton. 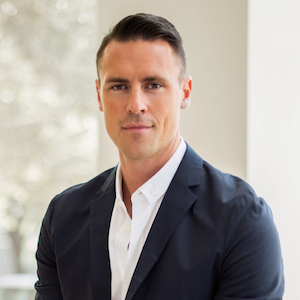 Featured as a D Magazine “D Best” and Top Producer, as well as a 3-time recipient of Modern Luxury Magazine’s Dallas Real Estate Awards, Daylon attributes his success to utilizing innovative digital marketing, as well as placing a high premium on his relationships with clients and area brokers.